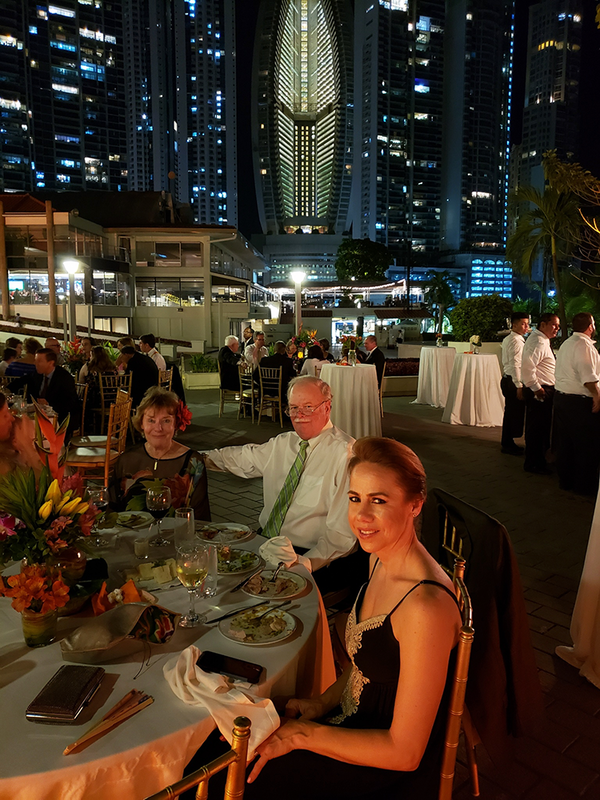 This past weekend we went on a whirlwind trip to Panama City, Panama for a family wedding and it was AMAZING! I love to travel and only wish I had the time (and money!) to do more of it with our family of five. 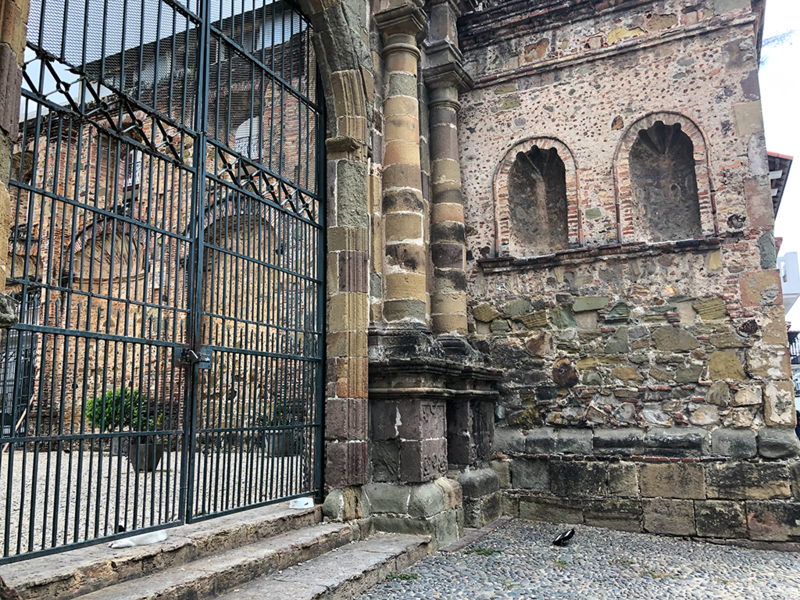 It was just my husband and me on this trip and we loved seeing Panama City and learning more about Panamanian culture. We can’t wait to head back and explore more of the country some time! We arrived on a Thursday evening on a direct flight on Copa Airlines out of Boston. I would highly recommend flying directly if you are visiting from New England as it was significantly cheaper than connecting through Miami and since it was direct, we were than in about 5 1/2 hours! It still felt like a LONG day though and I was ready to put my feet up when we got there to relax for a bit before heading to dinner. Clarke and I did head out to walk around and stretch our legs a bit before dinner and since the restaurant was about six or so blocks away, we walked there for our reservation. We decided on a Peruvian restaurant, Restaurante Puntarenas, that received a lot of good reviews on TripAdvisor. I had never been to a Peruvian restaurant, so it was a new experience for me. While I may not have been familiar with the dishes, I was happy to be fluent in Spanish so I could peruse the menu and ask questions. The service was great and after dinner, we headed back home for an early night. The next day we were off to the Panama Canal for a tour and then to lunch and the Bio Museo before returning to the hotel. 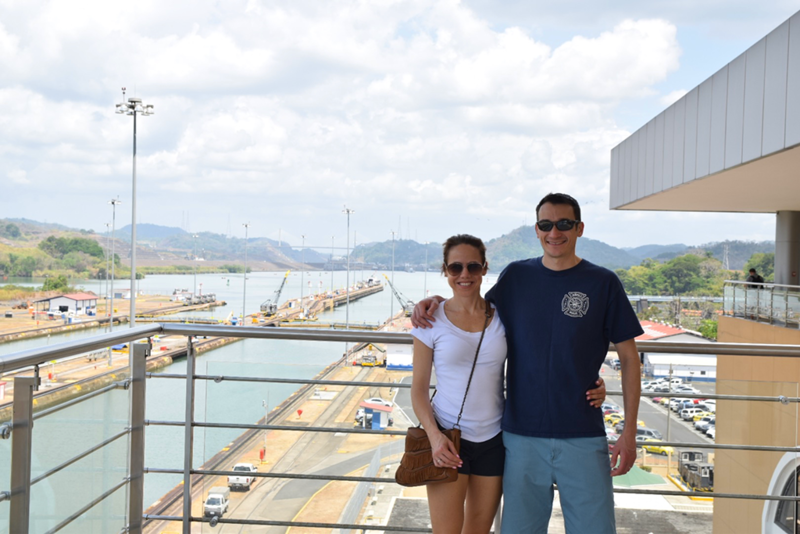 The Panama Canal is something I’ve always wanted to see so I was thrilled that the bride’s family had arranged a visit to the Miraflores Visitor Center. The center is named for one of the three locks of the canal, Miraflores. It’s very well done and has 4 exhibit halls that provide a thorough education on the history of the canal (and Panama). You will definitely want to make sure you head all the way to the top to the terrace that overlooks the canal as it offers the best view of all the action! There were no ships traveling through when we were there (bummer!) and the schedule isn’t really predictable, so it’s a matter of luck as to whether or not your visit coincides with a ship traveling through the locks. Regardless, it’s quite a majestic sight and I found it even more interesting after learning more about the history of the building of the canal and the engineering behind it. I would definitely recommend watching the IMAX movie before or after you leave the exhibit hall (it’s an additional fee but worth it!). The 3D movie is narrated by Morgan Freeman and it provides a great history of the building of the canal and how it works at the present time. After the movie, we boarded a bus and headed over to the Causeway for lunch. There were several different options for cuisine but we wanted some great seafood, so we opted for Restaurante Sirena. I had a delicious salad while enjoying a beautiful water view! If you’re interested in shopping they also have a duty-free store across the parking lot from the restaurant. After lunch, we headed to the Biomuseo (Museum of Biodiversity), designed by renowned architect Frank Gehry (it’s his only work in Latin America and the tropics). This museum is dedicated to educating the public about the tremendous biodiversity that exists in Panama– in fact, there’s even more biodiversity than Costa Rica! As you walk through the eight exhibit galleries, you will learn about the thousands of different species that call Panama home and how they have evolved and changed with the creation of the Panama canal. I really enjoyed the three-story projection space that played the video Panamarama. 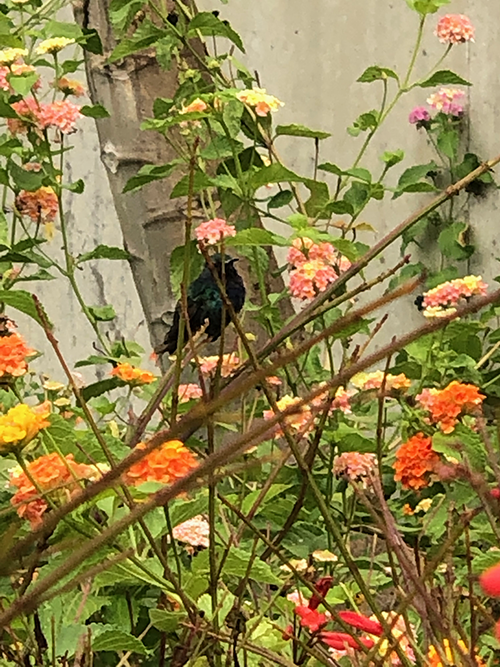 Make sure you check out the gardens and walkways outside the museum– they’re beautiful and you will see a TON of hummingbirds! At night we went to the rehearsal dinner at Restaurante Tinajas for a Panamian feast and entertainment. We all loved watching the dance show and listing to the drumming– it was a great way to get a taste of the Panamanian arts culture! If you visit Panama City, don’t miss Casco Viejo (Old Quarter). This area of the city is in the process of being gentrified and is the historic district of the city. You will find a large selection of excellent restaurants, churches (it’s where the wedding ceremony was), boutique hotels, and shopping. The area was designated as a World Heritage site in 1997 by UNESCO. 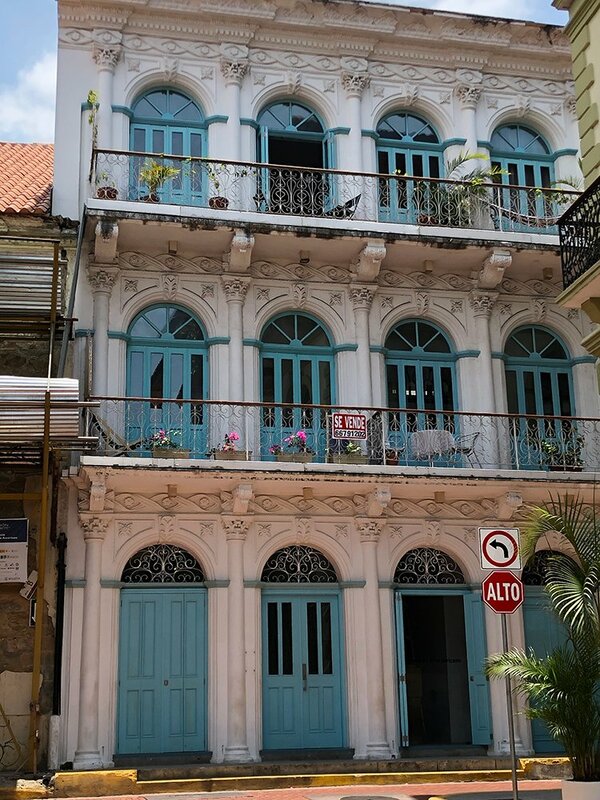 Casco Viejo is definitely the “hip” neighborhood of Panama City and his relatively small in size– only four avenues wide. It used to be inhabited by gangs and a criminal hotspot, but it’s been completely transformed into a cultural mecca. 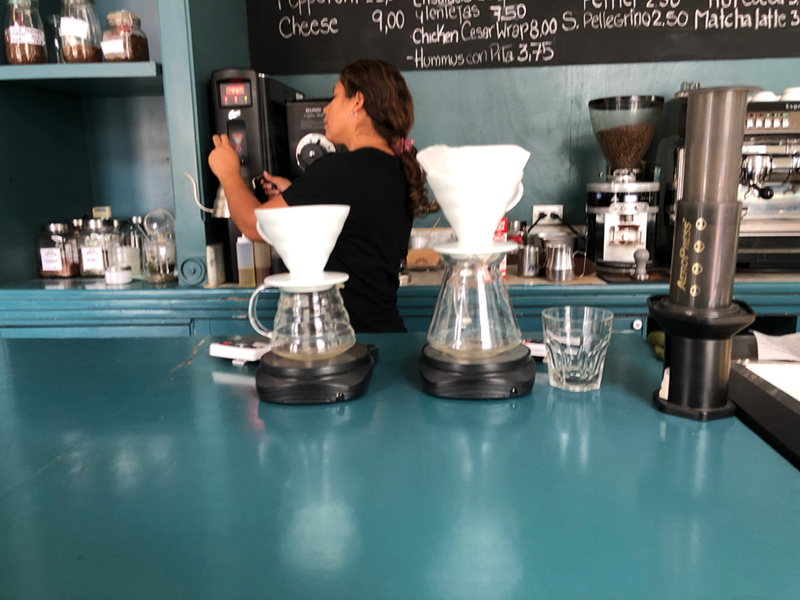 When you visit, don’t miss Café Unido (in the American Trade Hotel) where you can grab a cup of Geisha coffee– currently the world’s most expensive coffee. I spent $9 on this truly unique brew (brewed individually for you) and the same cup would cost me $18 in New York City and $68 in Dubai! It has a tea-like, floral flavor and is unlike anything I’ve tasted. Originally grown in Ethiopia, it’s now cultivated in Panama and Costa Rica. Head over to Casco for dinner or drinks and enjoy 360-degree views of the bay and city and some great nightlife. It’s definitely a place you won’t want to miss and we would have headed back over again if we had been there longer! 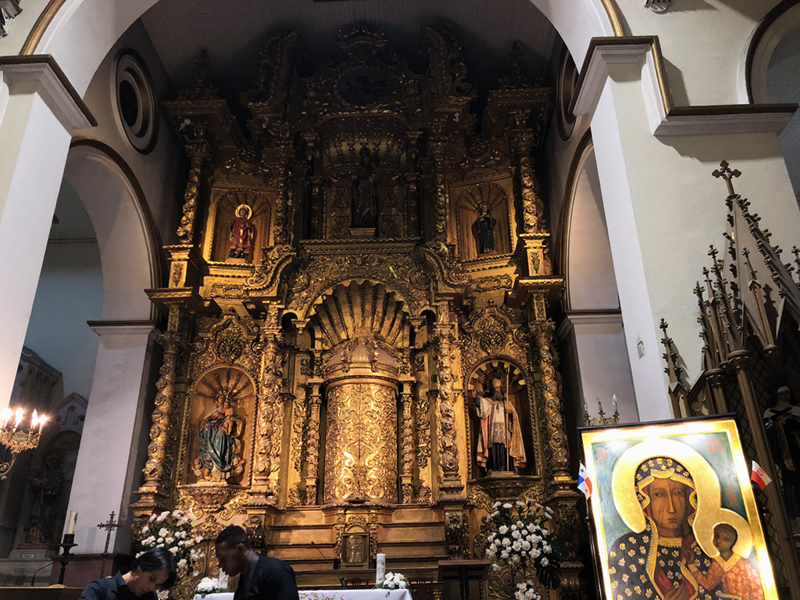 The wedding was held at the historic Church of San José which is absolutely gorgeous! It features a beautiful golden altar (carved wood that was overlaid with gold flakes). It was a traditional Panamanian wedding ceremony and shortly afterward we headed over to the Club Unión to celebrate! The food was delicious and featured an unbelievable spread of local fare. We danced the night away with a backdrop of the Panama City skyline. Sunday afternoon is was back to reality after a short trip up to the roof deck of the Hilton Doubletree Hotel for some sunbathing and a swim. Around 12, we headed over to the airport and boarded our Copa flight back to Boston, where I wished it was as warm as it was when we left Panama! 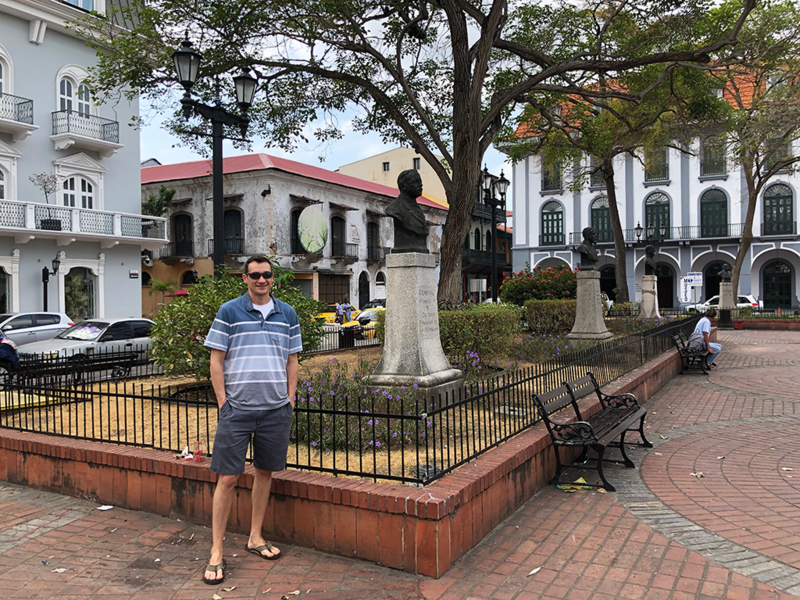 Panama was a wonderful country to visit and I look forward to returning to explore more of it. 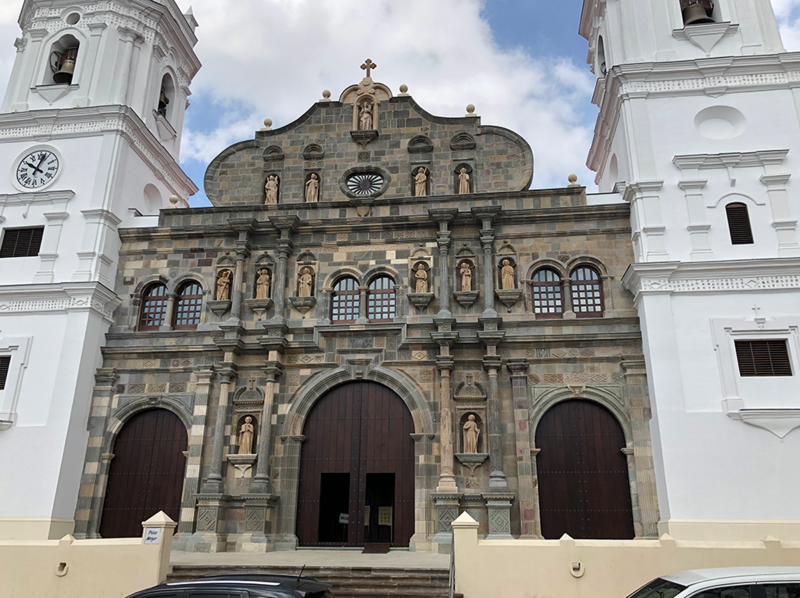 I can’t say enough about the Panamanian people– they were great and our service was impeccable! If you have the chance to visit, take it!